I haven’t even had my twins and I am already looking for creative ideas on how to parent them. I just know I am going to have a child just like me (Lord help me). So, I need to be prepared and ready for the challenge! I ran into a great idea for those times when they need a “cooling off” period. This Relax Bottle/Time Out Timer is brilliant! 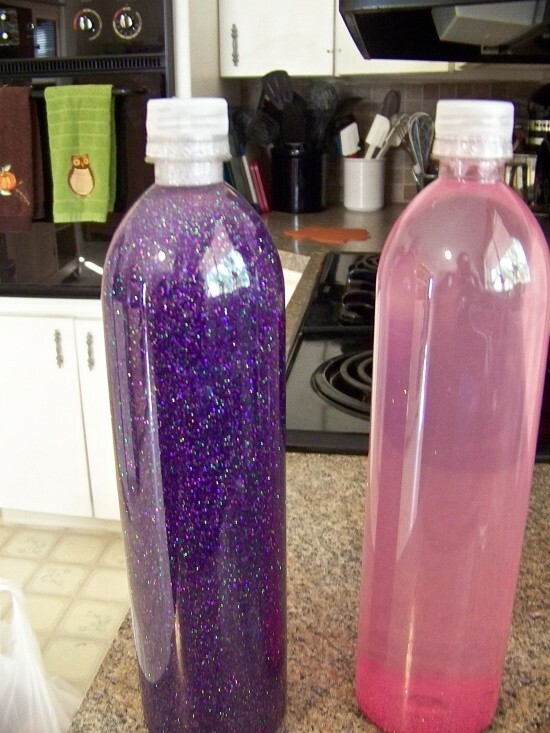 You shake it up and your child must sit quietly until all the glitter falls to the bottom of the bottle. For directions on how to assemble this visit My Crazy Blessed Life.